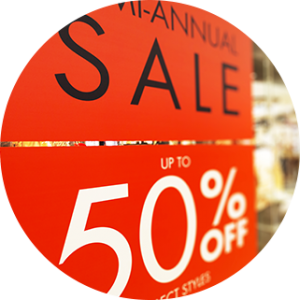 We received a challenge from a well-known retail store to produce and collate a new suite of sale and seasonal POS material. All the marketing collateral needed to be in each branch before Christmas, ready for the Boxing Day sales and the new season stock launch. We were given a four-week turnaround deadline for the project to be developed from initial concept to delivery. We received the global deployment guidelines from the client, containing complex detail covering the many project requirements for the different countries and languages served by the brand. Although the new marketing material had to be applied to most UK and Ireland stores, several units were required to retain the store’s previous branding which required in-depth coordination with UK Head Office and global branding departments. When the project specification was finalised, our studio prepared artwork for the POS. There were many factors to be considered – over 500 price points in two different currencies, covering Women’s, Men’s and Children’s fashion all had to be taken into account when creating the artwork. Our dedicated support team prepared and organised all the delivery schedules by combining the various departments of each store’s POS materials to eradicate the need for multiple deliveries. 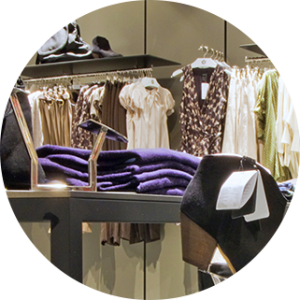 We received final approval from the client for all POS on the day the items had been initially scheduled to be dispatched. By this point we were into the last working week before Christmas – all materials had to be in stores before Christmas and due to last-minute shoppers the delivery networks were nearly at full capacity. With only four days left to complete the project and over 100,000 individual pieces to be printed, made up of 700 differing versions and types, the POS entered production. Our warehouse was organised with a collation point for each store. As the POS was produced our team picked and packed all the items to minimise any possible waiting time for our client. The final POS production was completed the weekend before Christmas, which left only one delivery day before Christmas Eve. All the POS items were packaged over the weekend and despatched for AM delivery on December 23rd. All stores received their POS items by Christmas Eve morning, giving them just enough time to dress the stores and be ready for the busy Boxing Day sales!